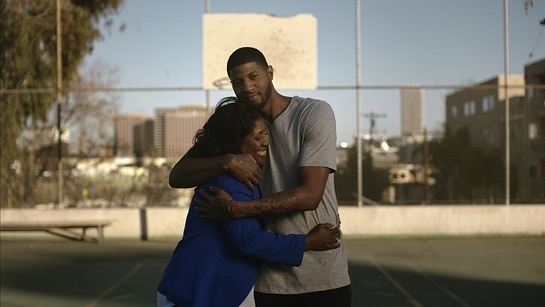 NBA All-Star Paul George was only 6-years-old when his mother Paulette suffered a stroke that left her practically bedridden for two years. Today, Paulette remains partially paralyzed on the left side of her body. 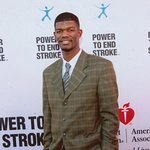 The pair has teamed up with the American Stroke Association and the Ad Council on a series of multimedia PSAs that teach the acronym F.A.S.T. for stroke: If you see (F)ace drooping, (A)rm weakness or (S)peech difficulty, it’s (T)ime to call 9-1-1. Created pro bono by The Baiocco and Maldari Connection, the new PSAs blend images of a 6-year-old George with the present-day athlete. An American suffers a stroke every 40 seconds, but only 8 percent of the population knows what F.A.S.T. means, according to a recent Ad Council study. The Ad Council’s new TV, radio, digital, and print PSAs will be distributed nationwide and run in space and time entirely donated by the media.